NEW! 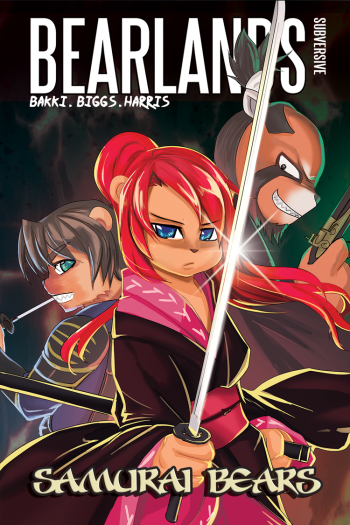 Pre-order the very first edition of SAMURAI BEARS – a one shot comic set in a new part of the Bearlands universe. Featuring a cast of katana wielding samurais and ninjas. Samurai Bears traces the exploits of Kimiko, a tough, single minded samurai and her brother the plucky Fumio as they set out to retrieve a precious artifact stolen by the evil Red Panda Gang.